Relax, unwind, rejuvenate, soak! 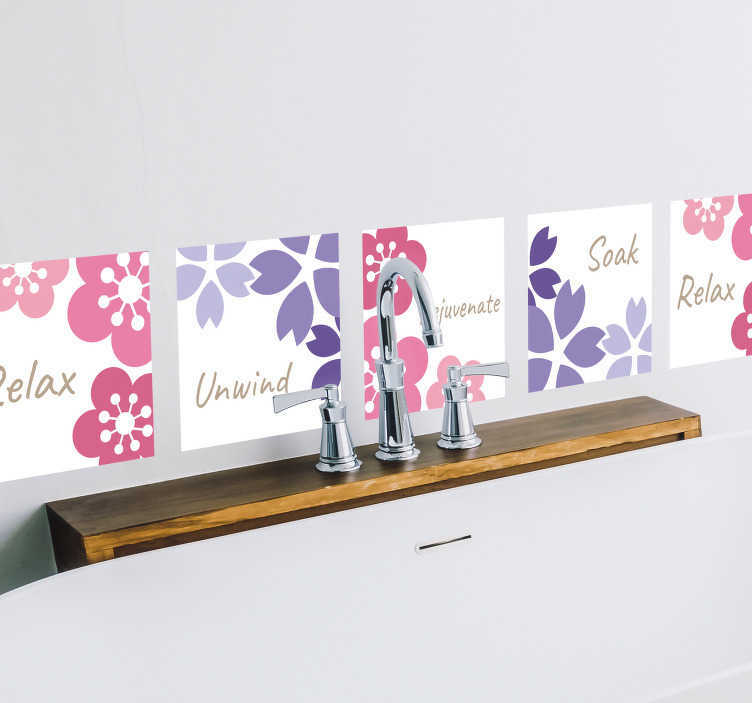 It is the advice that should be passed onto everybody, and now you can remind yourself of it every time you step into the bathroom with this fantastic floral bathroom decal! Perfect home decor for those who wish to add a relaxing and soothing touch to their sanctuary!